Welcome to Klamath Falls Subaru! We have everything you need for the ultimate Subaru ownership experience, all under one roof! Browse one of the largest inventories of new and used Subaru vehicles among Subaru dealerships in Klamath Falls, OR. From Financing to repairs and parts, we have it all and more for you! Klamath Falls Subaru is proud to offer a comprehensive selection of Subaru models for drivers from all over Klamath Falls, Lakeview, Medford, and Ashland. Find the latest 2019-2020 Outback, Ascent, Crosstrek, Forester, Legacy, and other Subaru favorites fresh off the line. You don't even have to leave your seat to start shopping. Our entire inventory of Subaru vehicles is available for viewing right here on our website, complete with features, specifications, colors, and anything else you'd like to know. New vehicles also come with a lifetime powertrain warranty and complimentary washes for life. At Klamath Falls Subaru, affordability is synonymous with excellence. All our used cars have passed very strict standards to make sure you get the highest performance, quality, and reliability with your used Subaru. Certified Pre-owned Subaru models give you the best of both worlds. Enjoy special financing, extended warranties, and more benefits without having to spend more on a brand-new vehicle. Can't find the Subaru you're looking for? That's what our CarFinder feature is for. Simply fill out the form, and we'll let you know the moment we locate a vehicle that matches your criteria. Now, here comes the fun part: fire up your potential Subaru for a first-hand look at what it can do! We'd love to set up a Test Drive, so call us at 877-811-1354 or visit at our convenient location in 2751 Washburn Way Klamath Falls, OR at the most convenient time for you! Don't Worry About Financing Your Subaru - Our Finance Specialists Are on It! Our Extraordinary Finance team is passionate about crunching numbers. Trust them to get you the best possible car loans and Subaru lease agreements for your situation. Better yet, come on down to Klamath Falls Subaru and have a one-on-one consultation with our finance experts. In addition, feel free to get started with your application anytime. Here's the link to the Financial Application form. All you need to do is fill it out, and we'll take it from there! We Care, so we'll take care of your Subaru like it's our own! Only our certified and specially-trained technicians will work on your Legacy, Forester, Outback, or other Subaru model. Rest assured, they can handle anything you throw at them, and we mean anything! From simple oil changes to total engine overhauls, leave your Subaru in our hands and return to a ride that works like new! Embarking on a DIY project or just need to replace a part? No need to go to other Subaru dealerships near Medford, OR. Klamath Falls Subaru carries genuine and top-quality auto parts. Looking for something in particular? Use our online parts order form, and we'll locate the right parts for you! The Subaru Experience Awaits You at Klamath Falls Subaru! Our whole team at Klamath Falls Subaru works by the motto, "simple, honest, awesome." We will go the extra mile to make sure your experience is extraordinary from the product demonstration to driving your new Subaru off the lot. 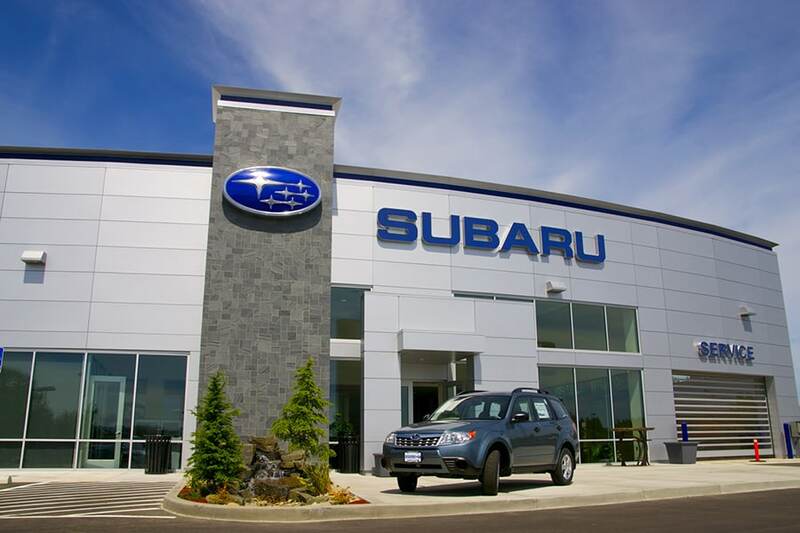 Call us at 877-730-7648 or visit us at 2751 Washburn Way Klamath Falls, OR to get your Subaru journey started!